​Welcome to our Online Home! ​Whether you are a guest searching for the perfect vacation experience or an owner whose home we care for and rent to welcome guests, our team of professionals will work hard for you every day to earn your business. We specialize in renting the right home to the right guest. Every day! Do we know the area? You bet we do! If you are looking for the inside info on the best attractions and leisure activities, the best restaurants, nightlife and shopping venues, the best of everything – you have come to the right place. Our staff is well prepared to provide you with personalized recommendations and service to ensure a holiday that matches your needs and dreams. customer satisfaction which will leave you wanting to vacation with us again and again. 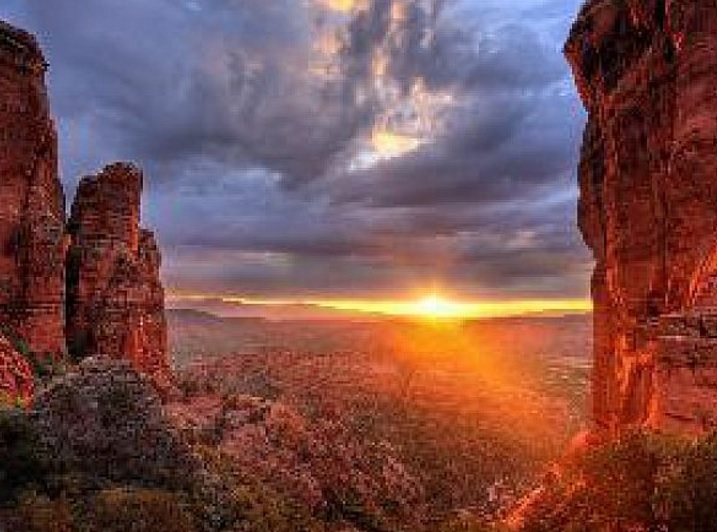 We have a terrific 2 bedroom condo available to rent that is conveniently located in Sedona's Red Rock country. Our condo is fully furnished. The master bedroom has a king size bed and a master bathroom including a whirlpool tub. The second bedroom is also very spacious and fully furnished. Our condo has sleeping capacity for 8 people total. The kitchen is fully furnished with all the comforts of home. We also have a washer and dryer inside our condo for your use. The living room is a very comfortable place to relax after a day of fun in Sedona. The living room also has a queen sofa sleeper for your use. We also have a balcony to enjoy while you are staying in our condo. This resort offers limited free WiFi/wireless internet. We do not allow smoking in our condo. When you stay at Wyndham Ocean Walk, located on a beautiful stretch of pedestrian-only beach and a part of the 80,000-square-foot Ocean Walk Village complex, it's like two vacations in one: a beachside retreat that's within walking distance of the most popular entertainment choices and activities Daytona has to offer. Our condo is fully furnished. The master bedroom has a king size bed and a master bathroom including a whirlpool tub. The second bedroom is also very spacious and fully furnished. Our condo has sleeping capacity for 8 people total. The kitchen is fully furnished with all the comforts of home. We also have a washer and dryer inside our condo for your use. The living room is a very comfortable place to relax after a day of fun on the beach. We also have a balcony. The resort is non-smoking, offers limited free WiFi, and guests have access to all owner amenities, including a swimming pool, hot tub, exercise equipment, game room, and picnic area. This resort is located near many wonderful outdoor activities. We have a terrific 3 bedroom condo available to rent that is conveniently located just 4 miles from Branson's famous 76 strip. Our condo is fully furnished and is 1,555 square feet. We may not be able to accept Friday night check ins for this resort. 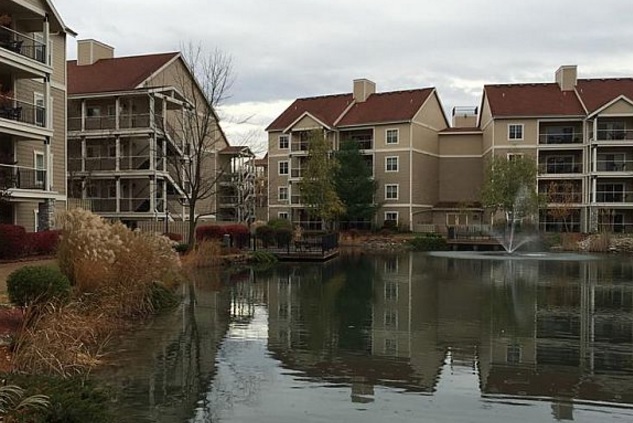 We offer Friday night check ins at the Meadows property across the street # 2328795. The master bedroom has a king size bed and a master bathroom including a whirlpool tub. The second bedroom has a king size bed as well. The third bedroom has 2 double beds and the second bathroom is shared by the second and third bedrooms. There is also a washer and drier inside the unit for your use. The living room and balcony are a very comfortable place to relax after a day of fun in Branson. The resort offers free WiFi/wireless internet for your use. Smoking is not allowed within the room. Additional amenities include: game room, computer room, excellent area restaurants, craft center, organized children's activities, tennis, outdoor jacuzzi/hot tub, lake, elevator, boating, basketball, dish soap complimentary, wheelchair accessible, kitchen utensils, stove/oven, king sized bed, shopping, paper goods (toilet paper, paper towels, trash bags) included, massage therapy, central heat and air conditioning, complimentary soaps and shampoos, mountain bike riding, horseback riding, suitable for children, washer/dryer, two double beds, driving range, iron/board, live entertainment, complimentary parking, golf, hiking, miniature golf, picnic/bbq area, no pets allowed (service animals and certified comfort pets are allowed), king bed, fishing, outdoor children's playground, jet skiing, coffeemaker. 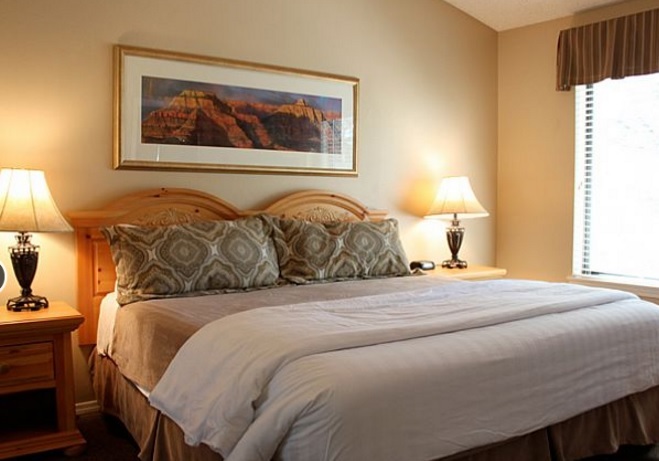 ​We have a terrific 2 bedroom condo available to rent that is conveniently located in northern Arizona's high country. Our condo is fully furnished and is 1,100 square feet. The master bedroom has a king size bed and a master bathroom including a whirlpool tub. The second bedroom is fully furnished and has a second bathroom. We also have a washer and dryer inside our condo for your use. The living room is a very comfortable place to relax after a day of fun in Flagstaff and includes a sofa sleeper. We also have a balcony to enjoy while you are staying in our condo. The resort is non-smoking, offers limited free WiFi, and guests have access to all owner amenities, including a swimming pool, hot tub, exercise equipment, game room, and picnic area. This resort is located near magnificent hiking terrain and many other wonderful outdoor activities. This is a terrific 2 bedroom condo available to rent that is conveniently located just 4 miles from Branson's famous 76 strip. We may not be able to accept Friday night check ins for this resort. It is 1,180 square feet and fully furnished. The master bedroom is very spacious with a king size bed and a master bathroom including a stand-up shower and whirlpool tub. The second bedroom is also comfortable with two double beds and a dresser. The kitchen has all major appliances and is fully stocked with dishes, glassware, eating and cooking utensils, cookware, blender, microwave, coffee maker complete with your first morning's coffee supplies. ​The unit includes a washer and dryer with a starter supply of laundry detergent. The living room is a very comfortable place to relax after a day of fun in Branson and includes a queen size sleeper sofa. There is a balcony to enjoy during your stay. 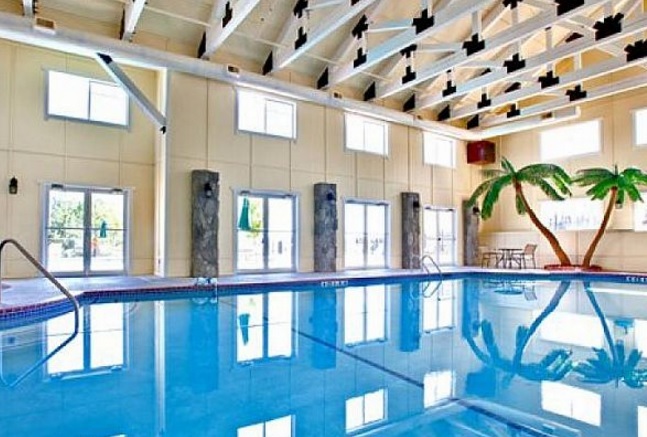 The resort is non-smoking, offers limited free WiFi, and guests have access to all owner amenities, including swimming pools, hot tubs, exercise equipment, playgrounds, and a game room. 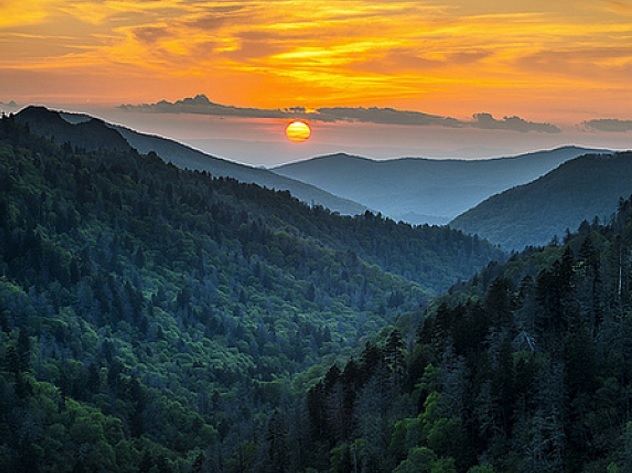 ​We have a terrific 3 bedroom condo available to rent that is conveniently located in the heart of the Gatlinburg, Sevierville, Pigeon Forge area. Our condo is fully furnished and is 1,532 square feet. The master bedroom has a king size bed and a master bathroom including a whirlpool tub. The second bedroom in our condo has a king size bed and a second bathroom. The third bedroom has 2 double beds. We also have a washer and dryer inside our condo for your use. The living room is a very comfortable place to relax after a day of fun in the Smoky's. There is a balcony to enjoy. This resort offers limited free WiFi/wireless internet for your use and is non smoking.